I came across an excellent post today by Dr. Wes who discusses a new focus in health care reform - chronic illness, aka "the patient." Next, assemble an impressive array of like-minded and highly gifted individuals who sincerely believe the patient is the problem. Assemble lots and lots of "partners" with financial conflicts in this debate to stand by your side. Build a very fancy website at significant cost. Pat yourself on the back for defining "the problem." We appreciate the detailed spreadsheets of costs provided by the Partnership to Fight Chronic Disease. Given their apparently extensive talent bank and funding for this type of analysis, we look forward to seeing comparable line-item analyses for the costs of ever-burgeoning healthcare bureaucracy. * Of course, do not CALL it "the patient," instead, work to "fight chronic disease." 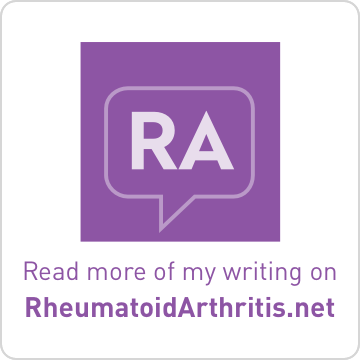 So as someone with two chronic diseases, I'd like to hear someone from the Partnership to Fight Chronic Disease explain exacting how following their suggestions would have prevented my developing multiple sclerosis or rheumatoid arthritis, and thus limiting the personal economic impact of living with those two chronic diseases. In the fight against chronic disease, every American has the responsibility – and power – to make healthy lifestyle choices. But the efforts of an individual are often helped or hindered by factors in their environment, such as their workplace, family, and community at large. The PFCD recognizes that chronic disease prevention requires both individual effort and community support to successfully fight the rising epidemic of chronic disease. Good health comes from making smart choices about the way we live. Family history plays a role in your health and your risk of developing chronic illnesses. But medical experts say lifestyle decisions and the choices you make about the foods you eat, the amount of exercise (and rest) you get, and other behaviors like smoking can also play a large role. Doctors tell us that an active and healthy lifestyle can help you prevent most chronic diseases. Good health starts at home. Parents can set an important example at home to help their children maintain a healthy lifestyle. Talking to your family about healthy behaviors can help them learn the appropriate ways to maintain a healthy lifestyle. Include physical activity into your daily routine, and get your family involved. Take a family walk in the morning before work or school or in the evening after you've had dinner. Encourage your family (especially children) to drink water or milk instead of high-sugar fruit drinks and soda. Serve a variety of healthy foods at meals, and keep nutritious foods in your cabinets. Limit the amount of time your family spends watching television, using the computer for recreation or playing video games. Community-focused health initiatives can reach a relatively large group of people with messages of health improvement that resonate with residents. Support of the community makes it easier for individual residents to accomplish their health goals. Every aspect of the community, including schools and workplaces, needs to be involved. Ensure the community infrastructure supports healthy habits (e.g., walking paths, safe playgrounds). Urge local school boards to support physical education and better nutrition in schools. Support local community organizations that focus on health and wellness. Make wellness a community priority by creating an environment that supports and promotes healthy behavior. Businesses around the country are reaping the benefits of workplace wellness programs. Increased satisfaction, reduced absenteeism, and lower health care costs are just some of the many benefits of these programs. Why should employers care about wellness? Employers can improve their bottom line and increase efficiency by focusing on ways to enhance their employees' health and wellness. Providing good health coverage is an important building block to good employee health. With health care costs rising due to preventable and manageable chronic diseases, more focus on preventive health is needed. Cost-benefit analyses show wellness programs make economic sense for the company by better controlling health care costs. Every dollar spent on health promotion led to an average reduction of more than $3 in health care expenses. Wellness programs help reduce absenteeism and presenteeism** (being present at work but too ill to perform well). As a result, employee productivity increases. A commitment to health and wellness in the workplace is correlated with higher employee satisfaction and improvements in morale. Spending is lowered** with an average 26% reduction in health costs and an average 30% reduction in workers' compensation and disability management claims. **These references are drawn from Partnership for Prevention® which is a national membership organization dedicated to building evidence of sound disease prevention and health promotion policies and practices and advocating their adoption by public and private sectors. When I tried to find a main office address for Partnership to Fight Chronic Disease, I found an APCO contact number instead. APCO is the same company which helped launch the Partnership for Prescription Assistance of which I am hardly a fan. Just an interesting tidbit of information to ponder. A chronic condition lasts a year or longer, limits what one can do and may require ongoing care. More than 125 million Americans have at least one chronic condition and 60 million have more than one condition. Examples of chronic conditions are diabetes, cancer, glaucoma and heart disease. Many with different chronic conditions face common problems, including very high costs that are often not covered by insurance, and a complex health care system that it is difficult to use. Both private insurance plans and government programs are not easy to navigate. A complex and difficult-to-use health care system in which physicians, social agencies, and others do not always work together on behalf of patients. As traditionally practiced, the American model of medicine excels at treating emergencies such as injuries, heart attacks, and appendicitis. American medicine is less effective at providing care over an extended period of time for one or more chronic conditions. Moreover, American health care is rarely able to carefully tend to the basic needs of patients such as bathing, dressing, preparing meals, or transporting people to and from medical appointments. The health care system is also not equipped to design and alter physical environments to maximize a person's ability to function independently. The number of people with chronic conditions is growing at an alarming rate. In 2000, 20 million more people had one or more chronic conditions than the number originally estimated in 1996. By the year 2020, 25% of the American population will be living with multiple chronic conditions, and costs for managing these conditions will reach $1.07 trillion. This chart projects a steady rise in the number of people with chronic conditions. The number of people with chronic conditions is projected to increase from 125 million in 2000 to 171 million in the year 2030. The current health care system excels at responding to immediate medical needs such as accidents and severe injury and sudden bouts of illness. American health care is less expert at providing ongoing care to people with chronic conditions and improving their day-to-day lives. What accounts for this dramatic growth in chronic conditions? The large population of baby boomers is aging, and their health is beginning to deteriorate. Advances in medical science such as vaccines and antibiotics have extended our life span, leaving more people vulnerable to chronic conditions related to aging such as cancer, Alzheimer's disease, osteoporosis, heart disease, as well as the limitations brought about by strokes. At the other end of the age spectrum, some chronic conditions, such as asthma and diabetes, are on the rise. 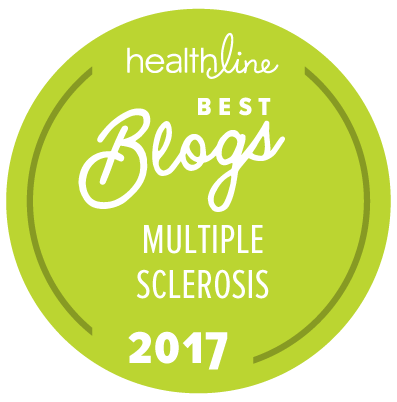 But this discussion would be incomplete without some external validation that the discussion of chronic disease has very little to do with multiple sclerosis or rheumatoid arthritis. Dr. Gross, a neurologist who blogs for Health Central, had this to say recently. But as I have noted previously, "What does this have to do with expensive disease care that is involved in a disease such as Multiple Sclerosis (MS) that, except in a very general sense, has nothing to do with carbs, jumping jacks, cholesterol, or the American penchant for gorging down a wheelbarrow full of Chicken Nuggets with a side bucket of fries as a prelude to Type II Diabetes and Obesity?" Beyond that of course is the example of the late John Ritter whose unfortunate early death had to do with a ruptured thoracic aneurysm, not a marquee problem at a Wal-Mart clinic. Of course not- the diagnosis and treatment of a thoracic aneurysm like that of Multiple Sclerosis requires high-powered specialty care!!! 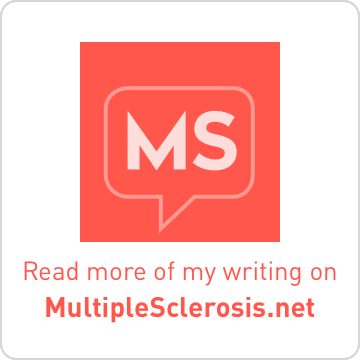 We must have universal affordable specialty care for all patients with MS, an issue largely different from smoking cessation programs offered by HMO's. The former is a big-ticket item for seriously ill people, afflicted with a disorder whose onset had nothing to do with life style. The latter is a laudable health improvement low budget project, some kind of public service announcement that's personalized. Discussing chronic disease and prevention is a smoke screen for examining the real needs for health care reform in America. Any movement which ultimately will be used to boost the business of "disease management" is suspect in my book. 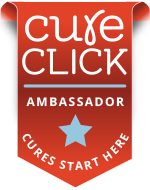 While I agree that we each need to strive to lead a healthy lifestyle, both physically and emotionally, I do not believe that the efforts of the Partnership to Fight Chronic Disease will spark that sense of personal preservation within each of us. Its funny, I know I am the blame for some of my own health problems. I have posted a few in my blog about it and how I am going to deal with them. I agree, we all are going to have to make healthy lifestyle choices and I am going to link this blog in my blog. Its GREAT reading for everyone. I came over from Jims blog. I came over from Jim's blog too. Very interesting and informative! Thanks for sharing. Lisa Ahh I'm too annoyed to make any intelligent comments. "Disease management" means sending a nurse to your house to spy on you when you take a sick day. It means people hiding illness because they are terrified to lose their jobs or lose their insurance. Employers think all they have to do is have a dumb seminar like "10 Foods to Keep You Healthy" and that's it and if you get sick it's your fault because you didn't eat enough carrots! EXACTLY MY POINT! I am starting to not feel like the only kid on the teeter-totter anymore! HALLELUJAH!! Now onward to how we attack this issue. Lisa--thank you AGAIN for researching that which "they" try to hide from us, instead covering their deeds in pretty flowers and balloon hearts! Excellent post as usual. Any movement which ultimately will be used to boost the business of "disease management" is suspect in my book. I could not agree more, this is something WE need to watch carefully. Management, like any other parasitic infection, is usually the root of the symptoms that do not fit the disease diagnosis. Well I'm certainly glad that those carbs and jumping jacks didn't cause my MS and fibromyalgia...sheesh and I've been eating TONS of carrots lately so shouldn't I be cured? (just kidding) I learn something new each time I check out your blog!